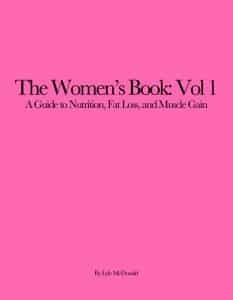 Articles about specific diets or dieting approach for fat loss. So it’s probably time that I put up at least some content that is NOT related to The Women’s Book. But since the several articles I’m working on are a bit stalled, I thought I’d cheat and put up links to some recent podcasts I’ve done. This was a two part podcast (because I talk too much) on women’s issues. In the first part we talked about hormone levels in general and blood work in specific. I’ll be honest that the latter is absolutely not my area of expertise but I did my best. In Part 2 we talked about some topics I never really had time to get into detail on in previous podcasts (since there is just too much information). Namely we discussed PCOS (Poly-Cystic Ovary Syndrome), changes at Menopause and issues relating to women’s psychology (primarily in the weight room).